April 1, 2018 at 12:06a.m. A dream can begin in a parking lot. That’s what Derrick McDowell believed and that’s the message he conveyed to his children when he started the Youngstown Flea in the Covelli Centre parking lot in 2016. The flea provides a market for makers, a place for the community to gather and an opportunity for entrepreneurs to both teach and learn. It has done this since its inception and will continue to do so when season three of the Youngstown Flea kicks off April 21. The flea celebrates local entrepreneurs by showcasing them. For the flea veterans, the beginnings of the flea focused a lot on educating the customers on what the flea really is about and how the products sold here are different from what can be found at any store. The flea has put Kimpel’s face serums, masks, bath bombs and body scrubs made with natural ingredients in front of new customers where she could explain her products. 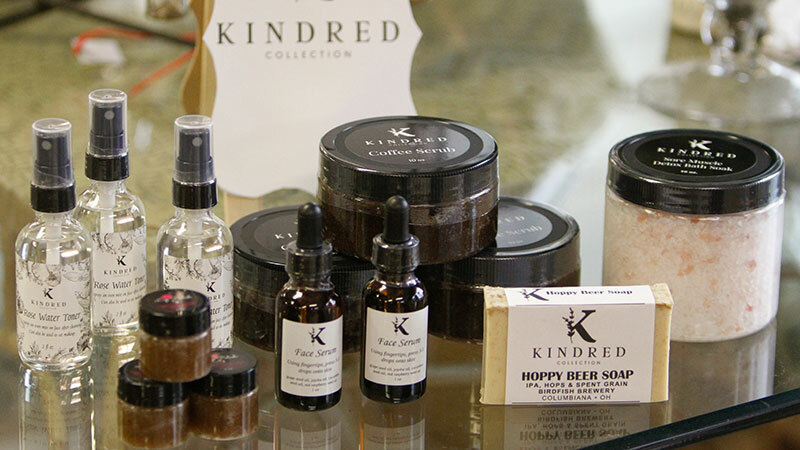 Kimpel will be back at the flea for season three with her skin-care products, and she will continue to teach the free Yoga at The Flea. Cassondra Ohlin, owner of North Lima shop Vintage VanBlair Antiques & Oddities, will also be at season three of the flea. Ohlin, who makes terrariums mostly but also some jewelry, joined the flea halfway through last season and since then her business has increased. The flea is still accepting applications from potential vendors, but McDowell is selective in what vendors he picks. The future of the flea is limitless to McDowell especially because of future projects on the horizon for the city with the DoubleTree by Hilton hotel opening in downtown in May and the amphitheater coming in spring 2019. July 15, 2018 12:08 a.m.
July 14, 2018 10:55 p.m.
April 19, 2016 10:55 p.m.